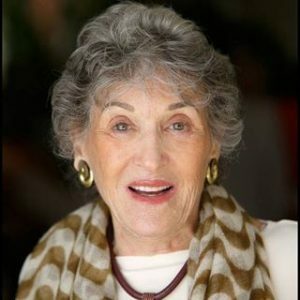 Jo-Ann Lautman was leading “Mommy and Me” classes at a pre-school in West LA as well as working with the Cedars-Sinai Hospice team during the early 1990s. Sadly, one of the moms died unexpectedly in her “Mommy & Me” class leaving a young widower and their child. At that moment, trying to console the young gentleman, Jo-Ann recognized there was an overlooked need for grief support in Los Angeles, particularly for younger grievers who were expected to “bounce back” and “find someone new.” Jo-Ann decided to make room for new passages in life, with the promise of keeping memories and dreams alive. As the word about the groups grew, so did the seeds of OUR HOUSE. After two years helping the young widow and widowers find sweetness again in their life, OUR HOUSE Grief Support Center launched in October 1993 with its grief support mission as a safe and comfortable place to start the process of rebuilding lives after the devastation of the death of someone close. From a staff of two to now 24 employees, from one group room to 11 group rooms in three offices, over 450 volunteers, satellite and school groups throughout LA County, OUR HOUSE serves grieving children and adults of all races, religions and ages, from 4 to 94. We have moved and grown and look to the future with the celebration of our 25th anniversary in 2018.